Today, AWS made improvements to the way you sign in to your AWS account. Whether you sign in as your account’s root user or an AWS Identity and Access Management (IAM) user, you can now sign in from the AWS Management Console’s homepage. This means that if you sign in as an IAM user, you no longer have to use an account-specific URL. However, the account-specific URL you have used in the past to sign in will continue to work. In the new sign-in experience, you can sign in from the home page using either your root user’s or IAM user’s credentials. 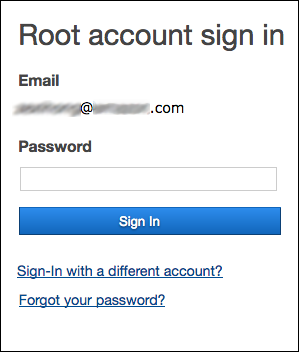 In the first step, root users enter their email address; IAM users enter their account ID (or account alias). In the second step, root users enter their password; IAM users enter their user name and password. In this blog post, I explain the improvements to the way you sign in to your AWS account as a root user or IAM user. If you use a password manager to help you sign in to your account, you may need to make updates so that it will work with the new sign-in experience. The new AWS sign-in experience allows both root users and IAM users to sign in using the Sign In to the Console link on the AWS Management Consoles’s home page. As shown in the following screenshot, to sign in as a root user, type the email address associated with the root account. 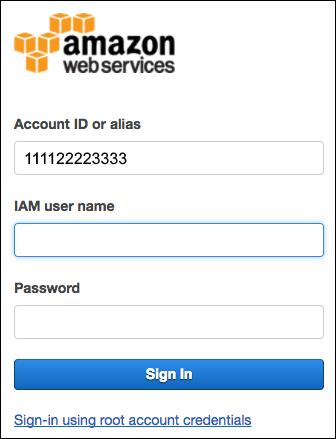 To sign in as an IAM user, type an AWS account ID or account alias. Then choose Next to proceed to Step 2. If you usually sign in using the same browser and allow the browser to store AWS cookies, you will skip Step 1 on subsequent sign-in attempts. If you regularly switch users or accounts, AWS recommends that you prevent the sign-in page from storing AWS cookies. If you entered the email address associated with the root account in Step 1, you were taken to the second step to sign in to the root account, as shown in the following screenshot. Type the password of the root account and choose Sign in. If you enabled multi-factor authentication (MFA) for your root account, you will then be prompted to enter the code from your MFA device. After successful authentication, you will be signed in to the AWS Management Console, and your account’s home page will be displayed. 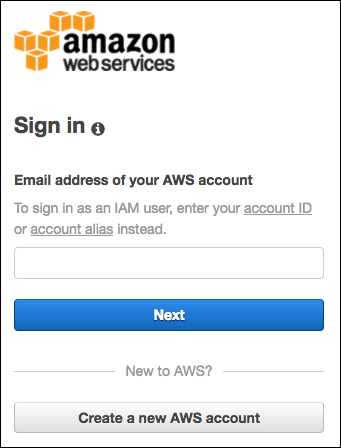 If you entered an AWS account ID or account alias in Step 1, you were taken to the second step to sign in as an IAM user, as shown in the following screenshot. Type the user name and password of the IAM user, and choose Sign in. If MFA has been enabled for your IAM user, you will then be prompted to enter the code from your MFA device. After successful authentication, your account’s home page will be displayed. With these changes, you may need to make updates to password managers so that they will work with the new sign-in experience. If you have comments about the changes to how you sign in to your AWS account as a root user or IAM user, submit a comment in the “Comments” section below. If you have questions, start a new thread on the IAM forum or contact AWS Support.